1 Bdrm Grnd flr Flat. Hall. Lounge/Dining area. Kitch. Bdrm. Shower rm (CT band - A). Price over £39,950 Early entry. Viewing contact solicitors. (EPC band - D). 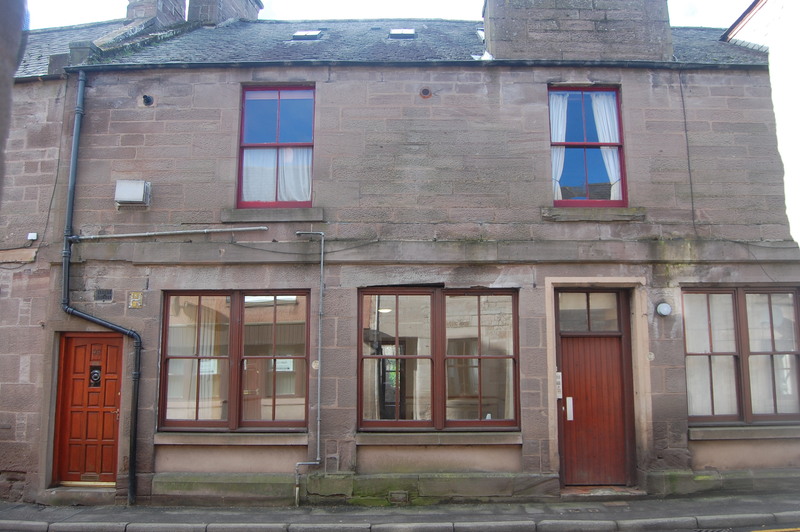 This is a stone built ground floor flat of quality which was built during the Victorian era. The property has been well maintained over the years and it has been modernised to offer comfortable accommodation by today’s expectations. 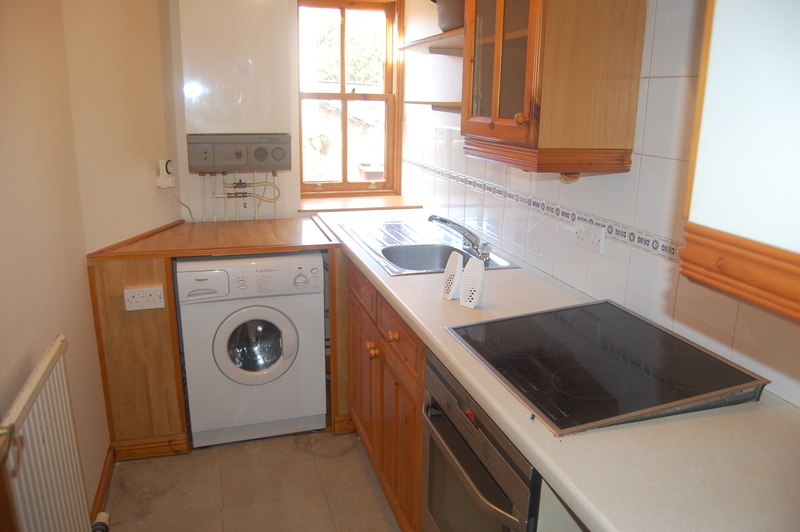 The accommodation comprises entrance hallway, lounge/dining area, fitted kitchen, double bedroom and shower room. It benefits from full double glazing and gas central heating for economical heating costs. There is a shared yard to the rear for some external storage. Early viewing is strongly recommended to fully appreciate the value of this ideal starter home which will also appeal to the buy to let market. A solid timber door gives access to the central hallway which leads to all of the rooms. A large cloak cupboard has a hanging rail and shelf for storage and houses the electrical consumer unit and meter. Vinyl flooring, smoke alarm, entry phone. Lounge 15’ x 10’ 4.5m x 3m The lounge is accessed by way of a 15 pane glazed door. 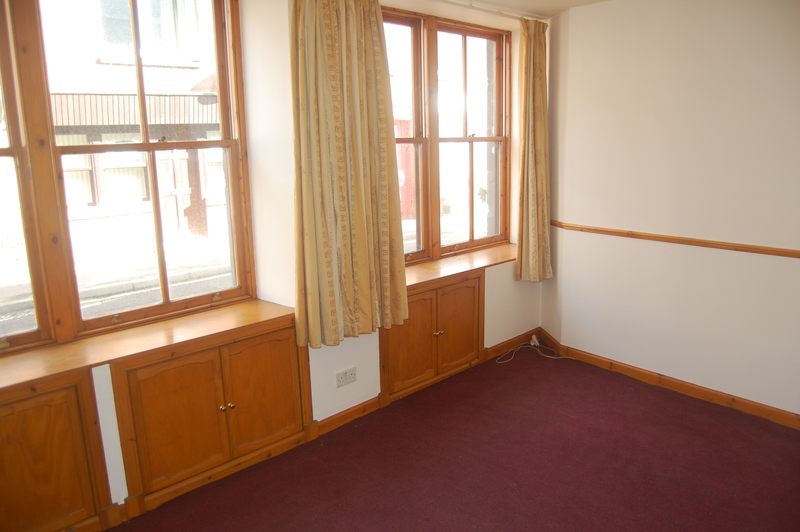 This is a bright and spacious public room which is located to the front of the property. There are two window configurations which enjoy a pleasant aspect over the High Street. Low level cupboards house the gas meter and provide useful storage. Sky TV point, TV point, telephone point, dado rail. Kitchen 9’6” x 5’6” 2.8m x 1.6m The kitchen has been fitted with a range of wall and floor mounted storage units with “honey pine” veneered doors and easy clean laminate worktops. The AEG electric hob, fan assisted oven, “Homark” extractor and Hotpoint washing machine are included in the sale. Stainless steel sink and drainer with tiled splash backs, space for a fridge, wall mounted Worcester boiler fuels the heating system, window to rear, a 15 pane glazed door gives access from the central hallway. 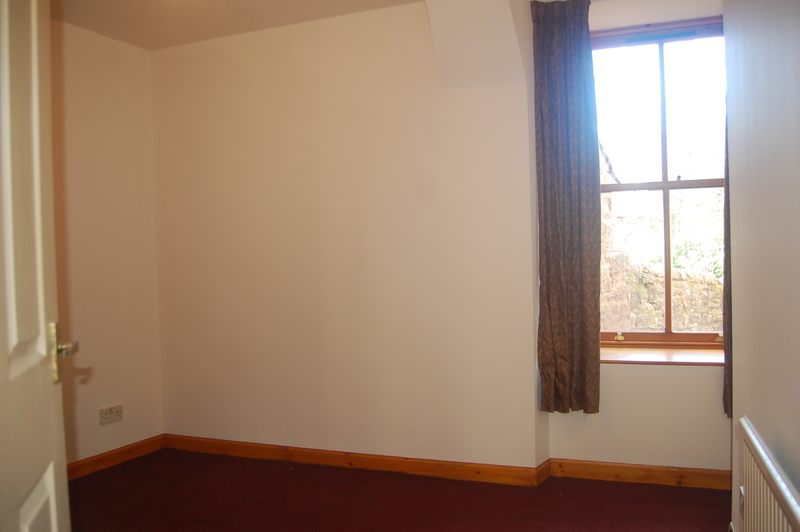 Bedroom 10’ x 9’6” 3m x 2.8m This is a bright and spacious double bedroom which is located to the rear of the property. There is a small fitted wardrobe with hanging rail, shelf and louvre door for storage. 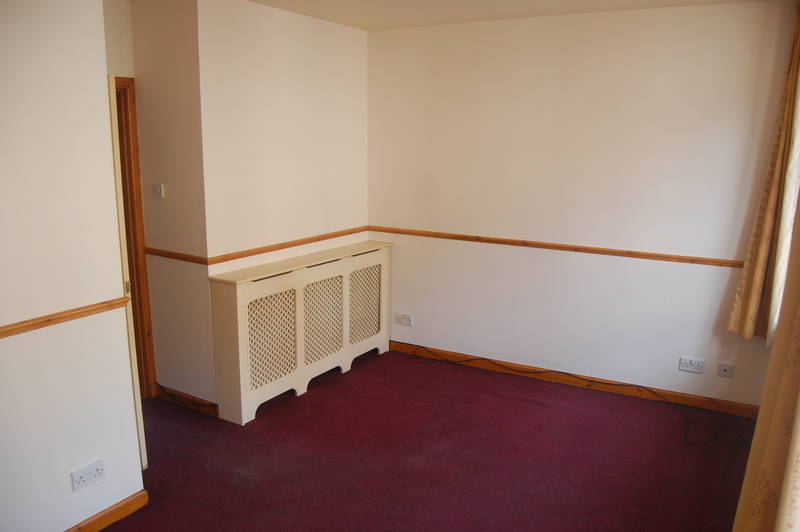 Ample space for freestanding furniture. Shower room 6’6” x 4’ 2m x 1.2m A compact fitted shower room with white suite which comprises back to wall toilet, pedestal wash hand basin and shower cubicle with Mira mixer shower fitment and front entry glazed shower enclosure. 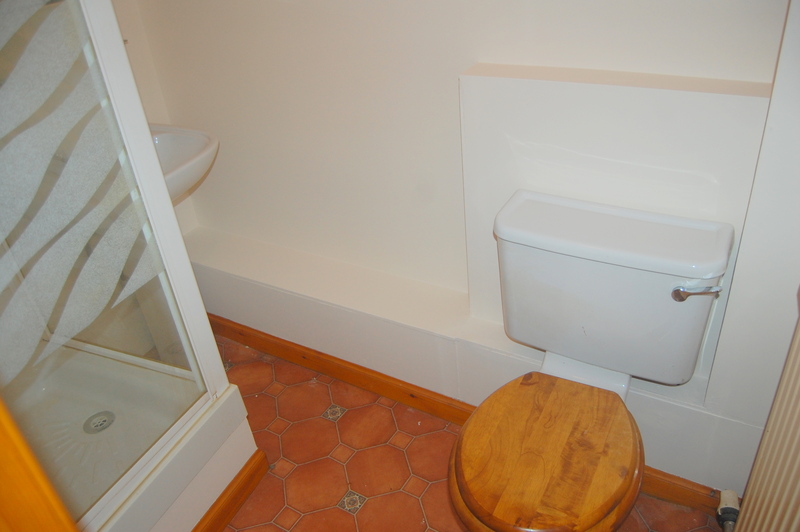 There is ceramic tiling to ceiling height within the cubicle, vinyl flooring, extractor fan, mirrored bathroom cabinet. All carpets, the hob, oven, cooker hood and washing machine are included in the sale. A gas-fired central heating system has been installed. All windows are fitted with double glazed sealed units. They are sash and case windows. Garden To the rear there is a shared area of yard which is easily kept. It provides storage for the bins. Parking There is free parking available on the High Street as well as on nearby Union Street.